New research from Strategy Analytics estimates that 56 million people will own an 8K TV set by 2025. That might sound like a large number, but Strategy Analytics says it represents just “modest growth” that will be helpful to TV manufacturers, but less useful for content producers. The numbers come from Strategy Analytics’ new Connected Home Devices report, which notes that 8K TVs are still a relatively new concept. As such, it expects just half a million 8K TVs to be sold this year, mostly due to their high prices and the fact that many consumers are aware that there’s little native content to watch on them. The US will initially be the primary market for 8K TVs, with 8% of households there expected to own one by the end of 2025. However, China is forecast to see greater actual sales volume, worth some $35 billion in retail revenue as domestic vendors there are generally faster to adopt new technologies. The main obstacle in the way of 8K adoption is a lack of native content in the higher resolution format. Currently, Japan’s NHK is the only broadcaster in the world to offer regular 8K content by way of its dedicated satellite service, which broadcasts for 12 hours a day only. YouTube also offers a limited selection of 8K content. We could still see more 8K content emerge in the coming months though. For example, the movie streaming service provider Rakuten recently announced plans to offer 8K movies “by the end of the year”, without providing further details. Whatever it comes up with is likely to be limited, however. In addition, the Italian broadcaster RAI TV says it will cover the Tokyo 2020 Olympics in 8K, in what we assume would just be a one-off event. But even if these companies do live up to their promises, it will be some years before 8K content becomes the norm, Strategy Analytics said. 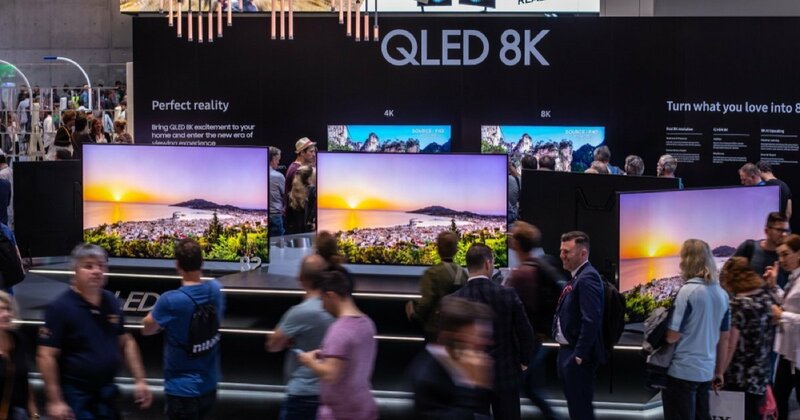 In separate news, NHK this week said it's planning to demonstrate its 8K satellite broadcasting system at the upcoming NAB Show in Las Vegas that will take place from April 6th to April 11th. The system will be displayed alongside some of NHK's latest 8K content, future broadcasting and 3D imaging systems, and other media technologies currently under research.